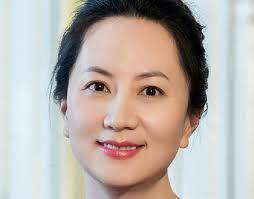 SHANGHAI/BEIJING, Dec 13 (Reuters) – Canada should distance itself from U.S. “hegemonism” and grant unconditional freedom to Meng Wanzhou, a top executive of China’s Huawei detained in Vancouver on Washington’s request, state-owned tabloid Global Times said in a Thursday editorial. Meng, the chief financial officer of Huawei Technologies, has been accused by U.S. prosecutors of misleading banks about transactions linked to Iran, putting the banks at risk of violating sanctions. 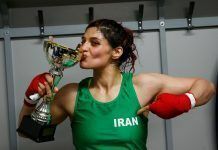 She was arrested on Dec. 1 and released on bail on Tuesday. The United States needs to make a formal extradition request within 60 days of her arrest, which a Canadian judge will weigh to determine whether the case against Meng is strong enough. Then it is up to Canada’s justice minister to decide whether to extradite her. Meng has no criminal record anywhere in the world and her arrest violates a U.S.-Canada extradition agreement, the Global Times said, adding that Canada could end the crisis immediately by freeing Meng unconditionally, rather than acting as the “51st state” of the United States. “Canada should distance itself from U.S. hegemonism and fulfill its obligations to help maintain international order and protect human rights,” it said. Even before the arrest, pressure from the United States has been forcing Huawei on to the back foot in telecom markets. Washington has long expressed worries that Huawei’s ties to Beijing make the network equipment it sells a security risk. Huawei, the world’s largest supplier of telecommunications network equipment and second-biggest maker of smartphones, has repeatedly denied accusations that it facilitates Chinese espionage. “I am proud of Huawei, I am proud of my motherland,” Meng said in a post on Chinese social media after her release. 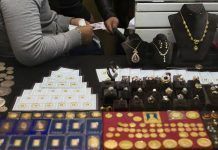 Meng’s arrest and Huawei’s struggle to allay security fears have triggered a wave of sympathy for Chinese social media. “She has a strong motherland at her back,” wrote one user on the Twitter-like Weibo. Authorities in China are holding former Canadian diplomat Michael Kovrig on suspicion of engaging in activities harmful to national security. He was detained on Monday. The Global Times said there was no evidence Kovrig’s arrest was in any way connected to the case, but added, “the assumption is because Canada has gone too far and people naturally believe China will retaliate”. Canada's Foreign Affairs Minister Chrystia Freeland. 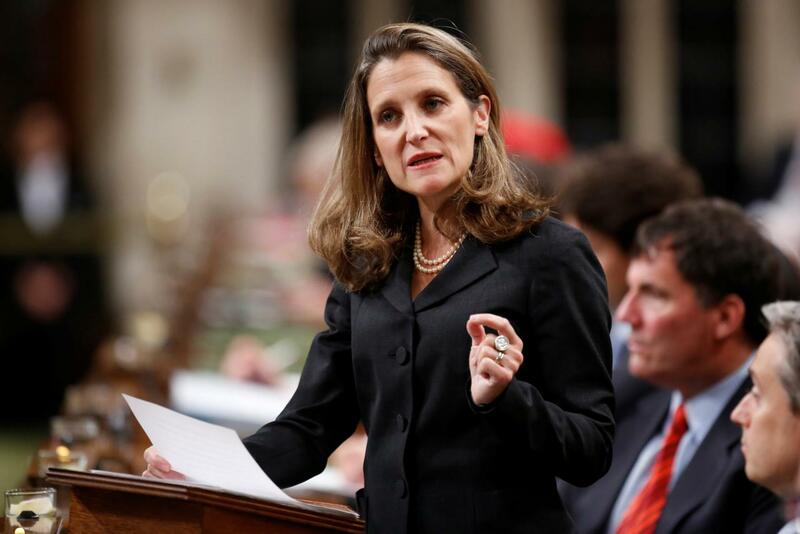 Canadian Foreign Minister Chrystia Freeland warned the United States on Wednesday not to politicise extradition cases, a day after President Donald Trump said he would intervene in the case if it served national security interests. In another editorial on Thursday, the official China Daily newspaper accused the United States of manufacturing the diplomatic incident in order to serve political ends. “Washington is mistaken if it thinks it can take Meng hostage and ransom her for concessions in the upcoming trade talks,” it said.